And it couldn't be a more perfect venue. 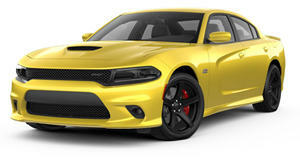 “I'm going to break something here that we haven't told anybody yet...We have a very significant performance announcement coming on Tuesday of Dream Cruise...And then the car that that performance is associated with will also be on site Saturday, so the first time anyone gets to see it will be here in Detroit at Dream Cruise. 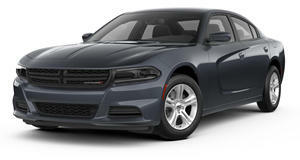 We'll announce it Tuesday, then come down Saturday and you can see the car.” A supercharged 6.2-liter V8 that makes 707 horsepower and 650 lb-ft of torque (in the Challenger, that is) will soon be offered in the four-door, RWD Charger. 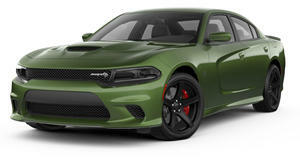 Expect for the Charger SRT Hellcat to debut on Tuesday, August 12. We love America.